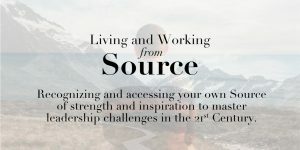 Recognizing and accessing your own source of inspiration and strength to master leadership challenges in the 21st Century. 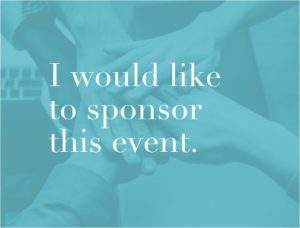 Whether you are looking for personal growth, organizational development, or societal change, this leadership salon will provide you with a reflective and collaborative experience and access to new possibilities for progress. Organizations today face profound change and complexity, increasing at a speed and intensity we’ve never experienced before. Traditional analytical leadership approaches are proving inadequate to deal creatively with business environments characterized by volatility, uncertainty, complexity, and ambiguity (VUCA). To re-focus and inspire their organizations, leaders are challenged to build the capacity to access the source from which truly profound innovation flows. Many people have experienced a connection with Source, often when called upon to respond in times of crisis—where moments of extreme spontaneity and intuitive insight abound and actions are spontaneous, seemingly without any sort of conscious intervention. But these experiences are chance occurrences—ordinarily we don’t know how to access Source, and we even have a blind spot as to its very existence. This salon is an opportunity to get to the heart of what it means to live and work from Source and what we need to do to stay in dynamic dialogue with it. This leadership salon is designed for people who seek to deepen their understanding of leadership. It is suitable for board members and CEOs, directors and heads of social-profit organizations, owners and executives of small and medium enterprises as well as all individuals who aspire to assume the responsibility of any such position. 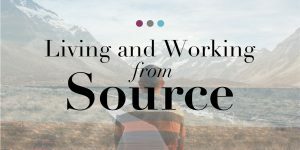 Participants will begin to recognize Source at a deeper level, becoming more familiar with its inspiration and strength in order to begin to use it effectively. In this interactive leadership salon, we will employ elements of structured dialogue to ensure everyone has a chance to participate fully. People will have an opportunity to express freely and honestly and are encouraged to listen attentively. There will be time for personal reflection as well as free exchange with others. 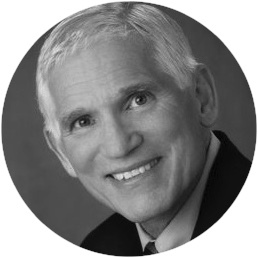 Joseph Jaworski has devoted much of his life to exploring the deeper dimensions of transformational leadership. As founder and chairman of Generon International, Joseph advises CEOs and senior executives in Fortune 500 companies. He specializes in the design and execution of large-scale organizational change as well as strategy formation and implementation. He is a pioneer and prominent thought leader in the discipline of “Strategic Foresight,” enabling leaders to deepen their capacity for tactical and strategic insight. Joseph is the author of the critically acclaimed international best-sellers, Synchronicity: The Inner Path of Leadership and Source: The Inner Path of Knowledge Creation. 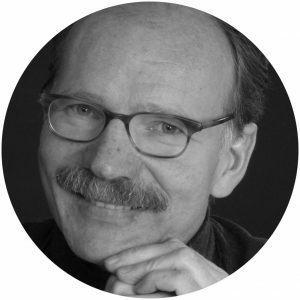 Hugo Skoppek is committed to sustainable development. He has honed his expertise in sustainable food and fair trade since he was in his twenties, and is now focused on applying his experience to innovation and change management. He advises companies and individuals on how to implement sustainable practices to suit their environmental context and organizational circumstances. This work led Hugo to found SlowTalk, where people learn to use human dialogue in organizational development and engage in meaningful conversations, setting aside their subjective differences in order to focus on the objectives of their work. Susan Taylor has devoted much of her life to exploring the deeper dimensions of human potential. As CEO of Generon International, Susan collaborates with leaders, teams and organizations to create more effective, advanced, conscious contributions to business and society. Susan is a certified group facilitator through Interaction Associates and a certified coach through CTA. She is ICF certified and a member of the Forbes Coaches Council, an invitation-only organization for successful business and career coaches. Susan’s expertise in Generative Dialogue and executive coaching are routinely applied as she works with executives to build organizational cultures that are values-based and purpose-driven. Susan has two daughters, Carolanne and Erin, and currently resides on Hilton Head Island, SC with her life partner, Christopher Walsh. from 09:00 to 18:00, with an opportunity until 20:00 for individual conversations. Please note, this leadership salon is limited to 40 people. • Registrations cancelled less than 60 days, but more than 30 days before the event are eligible for a 50% refund of the registration fees paid. • Registrations cancelled less than 30 days before the event are not eligible for a refund. We would like to make this leadership salon available to young, talented men and women who promise to be the next generation of leaders. 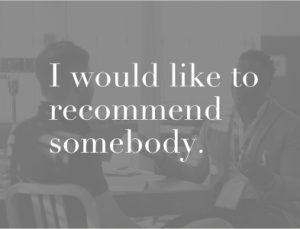 Please feel free to recommend someone from within your network who is promising to change the world. Scholarship fees only cover the costs of the leadership salon. Additional expenses for accommodation and food must be paid by the participant.